Des Moines Police have made an arrest in the city’s 11th homicide of the year. 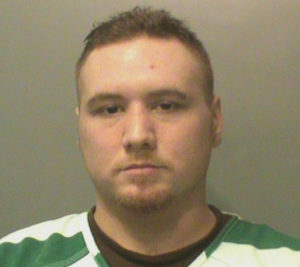 Thirty-year-old Sean Michael Foster is charged with first-degree murder for the killing of 50-year-old Albert Barron III, of Des Moines. Officers were called to conduct a welfare check and found Barron’s body inside a home on the city’s south side Wednesday afternoon. They’re not saying anything about how he died, what led them to arrest Foster, or how the two men knew each other.